Microsoft Denmark’s annual Partner Awards took place at last night in Lyngby. 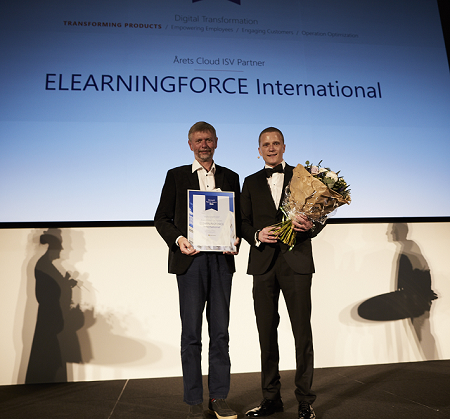 ELEARNINGFORCE, represented by CEO Bjarne Mortensen, was excited to participate with the nomination for ISV Cloud Partner of the year. There are approximately 3,500 Microsoft partners in Denmark, 33 of which were nominated for awards within 19 different categories. ELEARNINGFORCE has won the award for ISV Cloud Partner of the Year, a recognition that we, as the North America counterpart, are very proud of. 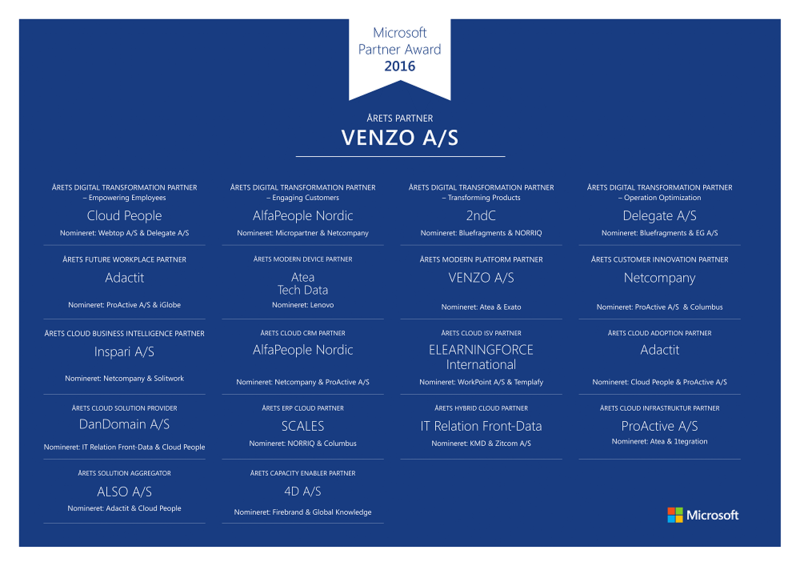 View the full list of nominees and winners at the Danish Microsoft Partners Awards 2016 below. ELEARNINGFORCE would like to thank all of their excellent employees, partners, clients and of course Microsoft for the great collaboration! *Orginal Quote ”Elearningforce er årets danske Cloud ISV Partner 2016, og de har udviklet en stærk og innovativ cloudløsning, som driver Office 365 og Azure. Løsningen kan bruges på tværs af segmenter, og den har høstet store internationale anerkendelser og har medført en imponerende vækst og rigtig flotte kundereferencer,” siger Alexander Nordqvist, Partner Sales Manager, Microsoft Danmark.